11 May 1964: Formal design begins. 19 Feb 1965: First order from Lufthansa. 5 Apr 1965: First order for 737-200 from United. 9 Apr 1967: First flight of 737-100. 8 August 1967: First flight of 737-200, the 5th 737 to fly. 15 Dec 1967: FAA Type certification of 737-100 and -200. 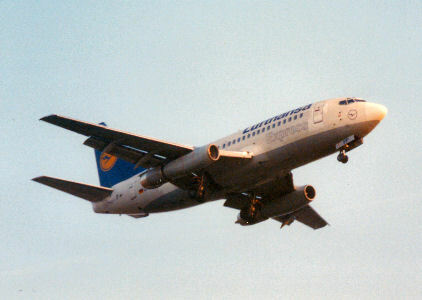 10 Feb 1968: First revenue flight of 737-100 with Lufthansa. 29 Apr 1968: First revenue flight of 737-200 with United. 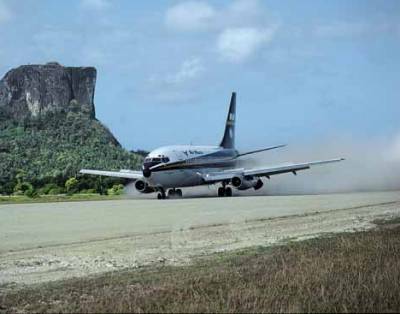 20 Feb 1969: Gravel runway certification. 4 Mar 1969: First 737-200 delivered with flaps & thrust reverser modifications. 15 Apr 1971: First flight of 737-200Adv. 3 May 1971: FAA Type certification of 737-200Adv. Oct 1973: Quiet nacelle modification goes into service with Quebecair. 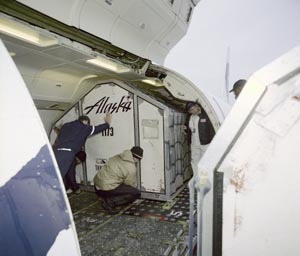 2 Aug 1988: Last delivery of a 737-200Adv. 30 Built, None still in service. The -100 was 94ft (28.65m) long, carried 115 passengers and had an MTOW of just 42,411Kgs, less than half that of the current -900 series. The original choice of powerplant was the Pratt & Whitney JT8D-1 at 14,000Lbs thrust, but by the time negotiations with Lufthansa had been completed the JT8D-7 was used. The -7 was flat rated to develop the same thrust at higher ambient temperatures than the -1 and became the standard powerplant for the -100. Just 30 series 100's were built, with 22 going to Lufthansa, 5 for Malaysia Airlines and 2 for Avianca. The last airworthy 737-100, L/N 3 which first flew 12 June 1967 was finally retired from Aero Continente in Peru as OB-1745 in 2005. It was immediately realised that most airlines wanted a slightly higher passenger load, to which Boeing responded with the 737-200. Two sections were added to the fuselage; a 36in section forward of the wing and a 40in section aft of the wing, giving a maximum capacity of 130 passengers with a 28in seat pitch. All other dimensions remained the same. 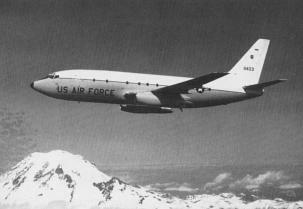 The JT8D was increased to 14,500Lbs with the -9. 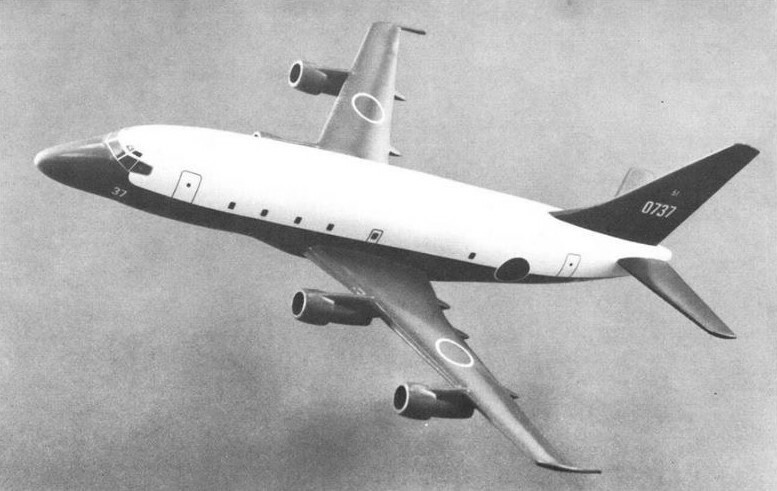 Six weeks later on the 5 April 1965 the -200 series was launched with an order for 40 from United Air Lines. Development and production of the two series ran simultaneously. An original 737-200, L/N 54. Notice the short nacelles and clamshell thrust reversers. Photo: Steve Williams 1969. Flight testing had shown a 5% increase in drag over predicted figures, this equated to a 30kt reduction in cruise TAS. After almost a year of wind tunnel and flight testing several aerodynamic modifications were made. Flaps and thrust reversers were improved from aircraft number 135 (March 1969) and free mod kits were made available for existing aircraft. The thrust reversers were totally redesigned by Boeing and Rohr since the aircraft had inherited the same internal pneumatically powered clamshell thrust reversers as the 727 which were ineffective and apparently tended to lift the aircraft off the runway when deployed! The redesign to external hydraulically powered target reversers cost Boeing $24 million but dramatically improved its short field performance which boosted sales to carriers proposing to use the aircraft as a regional jet from short runways. Drag reduction measures included extending the engine nacelles by 1.14m (3ft 9in) and widening the strut fairings. Enhanced flap, slat and panel seals were also incorporated. The original series 200 had narrow engine pylons and smaller inboard leading edge flaps. The later series 200 had broad engine pylons and the inboard leading edge flaps extended to the fuselage. The MTOW of 49,440kgs and MLW of 44,450kgs were often limiting so Boeing made structural changes to increase these weights and called the redesigned aircraft the 737-200 Advanced. As well as incorporating all of the later -200 modifications, the -200 Adv included major wing improvements such as new leading edge flap sequencing, increase in droop of outboard slats, extension of the inboard Krueger Flap (see flight controls section), to produce a significant increase in lift and a reduction of take-off & approach speeds for better short field performance or an MTOW increase of 2268Kg. Autobrake, improved anti-skid, automatic speedbrake for RTO, automatic performance reserve and even nose-brakes became available. Again, kits were available for existing operators of the -200. With the JT8D-15 at 15,500Lbs the MTOW was now up to 52,390Kgs and MLW 48,534Kgs. These performance improvements increased the service ceiling by 2,000ft to 37,000ft and the maximum cabin differential pressure was increased from 7.5 to 7.8psid to accommodate this. In 1973 when noise was becoming a factor, the nacelle was acoustically lined by Boeing and P&W swapped one fan stage for two compressor stages in the JT8D-17 while increasing thrust to 16,000Lbs. The JT8D got up to 17,400Lbs thrust on the -17R. For many years United remained the only major US carrier to order large numbers of 737's because although the aircraft was designed to be flown by 2 crew, the US flight-crew union ruled that aircraft in that class had to be flown by three crew. United were forced to fly their 737's with three crew until 1981. Air France had also been trying to order the aircraft for several years but were unwilling to because of staff opposition until after 1981. Most pilots who have flown different generations of the 737 say that this is easily the best for handling. Read some comments at PPRuNe. The Convertible passenger/freight version had a 3.4m x 2.18m (138in x 86in) side cargo door (SCD) on the forward port side for pallet loading. They also had strengthened floors and additional seat tracks. As a freighter it could accommodate seven LD7 (88in x 125in) palettes on the main deck plus any loose cargo in the two holds. Conversion time was approximately 3hrs but this was later reduced to about 1hr with the QC which had 12 passenger seats ready mounted on each pallet. This realistically allowed the aircraft to used for both roles allowing it to earn money around the clock by carrying pax by day and freight overnight. Some airlines even operated them as Combi's with pallets at the front and pax at the rear. 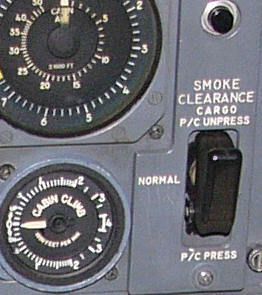 The cargo 737's had a pressurisation feature which allowed the crew to pressurise or unpressurise the passenger compartment for smoke clearance. They also had smoke detectors. Originally designated the Corporate 77-32 or the Corporate 200, this was an executive jet version of the -200 and -200 Adv, similar in concept to the current BBJ. 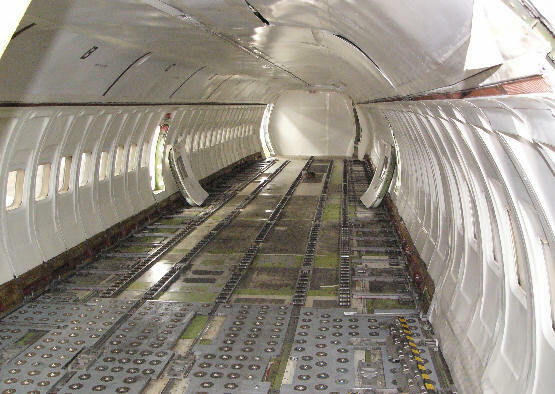 These were either fitted with one of the many Boeing interiors or were delivered green for customer installation of special interiors. Aux fuel tanks were also fitted to give a maximum range of up to 4,000nm with a 1,134kg payload. 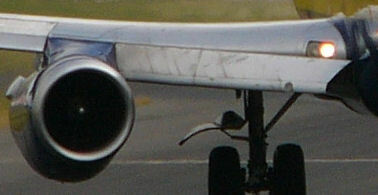 Smaller deflectors on the oversized main gear to prevent damage to the flaps. Protective shields over hydraulic tubing and brake cable on the main gear strut. Glass fibre reinforced underside of the inboard flaps. Teflon based paint on wing and fuselage undersurfaces. 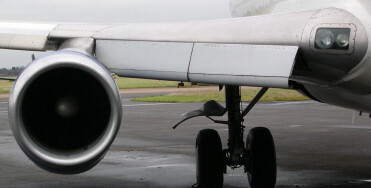 Anti vortex jets fitted to the engine nacelles. These consisted of a small forward projecting tube blowing bleed air down and forward to break up vortices which could otherwise ingest gravel. The nose gear unit folds forward as the gear retracts seating into the faring in front of the nose wheel well. See photo. Navigation and multi-engine trainer for the USAF 12th FTW, based on the -200Adv. Fitted with an 800 USGal auxiliary fuel tank in the aft cargo hold, giving it a range of over 2900nm. Maritime Patrol aircraft for the Indonesian Air Force. Fitted with Motorola AN/APS-135(V) Side Looking Airborne Modular Multi-Mission Radar (SLAMMR) The antenna of which was mounted in two 16ft housings on the upper rear fuselage. This system could spot small ships at ranges of 100nm. This was a joint venture between Boeing and Kawasaki to build a 4-engined maritime patrol aircraft for the Japan Maritime Self-Defense Force. It was proposed in 1974 to replace the Kawasaki's licensed P-2 "Neptune" but Japan chose the Lockheed P-3C "Orion." and in 1977 Kawasaki began producing P-3C under license. The PXL was to have four 9,280lb, GE TF34 engines and a MTOW of 120,000Lbs with fuel of 5,270USG wing tanks and 1,250USG centre tank. The illustration shows an extended and lowered nose radome and wing tip booms which are possibly MAD probes or other antennae. VIP aircraft for the Brazilian Air Force. 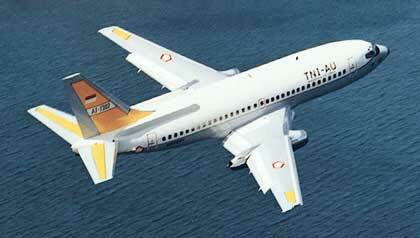 The IAI Elta division 737-200A testbed has been used to develop systems since 1979. These have included maritime patrol signal intelligence, image intelligence using synthetic aperture radar, AEW and most recently Flight Guard, a commercial aircraft anti-missile protection system. The Flight Guard flight trials began in July 2004. Note that El Al now use Elbit Systems C-MUSIC laser DIRCM. 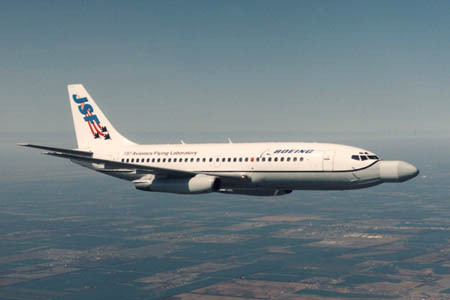 First flown 26 March 1999, this highly modified 737-200 was modified by Boeing Aerospace Support to accommodate special avionics and instrumentation for development of the JSF. 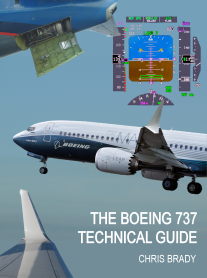 In a less-than-one-year design and modification program, Boeing Military Programs - Wichita Division fitted a 48-inch nose and radome assembly to the forward pressure bulkhead of the 737-200 aircraft. The elongated nose will house avionics and instrumentation to aid development of the next-generation JSF aircraft. The aircraft also was fitted with several antennas, a heat exchanger and provisions for a supplemental power system. Such was the popularity of the -200 that its production continued for over four years after the introduction of the first -300. The last -200Adv (l/n 1585) was delivered on 2 August 1988 to Xiamen Airlines. 1,144 originals were built, many of which are still flying today although noise restrictions have made necessary the installation of stage 3 hush kits available from Nordam or AvAero. P&W was even considering a re-engining program with the PW6000, but with the post Sept 11th economic downturn sending thousands of aircraft into storage, the idea was dropped. The 737-200 is still being developed by third party companies. In June 2005 Quiet Wing gained FAA certification for a flap modification package to increase take-off performance by 3,200kg, reduce fuel consumption by 3% and reduce stalling (and hence take-off & approach) speeds by 5kts. It works by drooping the TE flaps by 4 degrees and the ailerons by 1 degree to increase to camber of the wing. Whilst this does slightly increase drag it does give much more lift there by increasing the aerodynamic efficiency of the wing. One unusual benefit is that operators may want to replace their JT8D-15 engines with older but lower thrust, lower fuel consumption -9A's. Quiet Wing are now developing the same package for classics.